Caption: Spain by Charlotte Hardy 2003, mixed media and collage. Framed, glazed, signed. 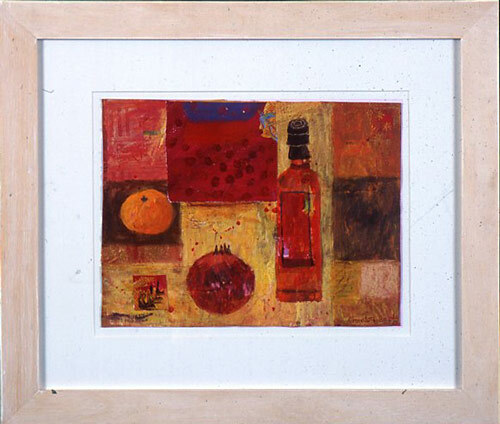 The painting depicts a Mediterranean still life with bottle of wine and fruit. Hardy is a popular local artist.